Dara Huang graduated from her architecture course at Harvard in 2007. She went to work at Herzog & de Meuron, where she worked on both Tate Modern and the Perez Miami Art Museum projects, before setting up her multidisciplinary design practice Design Haus Liberty. It takes on architecture, interiors and product design projects. ‘I oversee the creative vision in the studio and head business development and relations,’ says Huang. ‘We’ve won several awards since we started four years ago, including RIBA Windows (2016) as well as being shortlisted for PRS and Office NLA project of the year (2017).’ The practice also appeared during last year’s London Festival of Architecture as well as featuring in a BBC feature: RIBA Forgotten Spaces, in 2014. 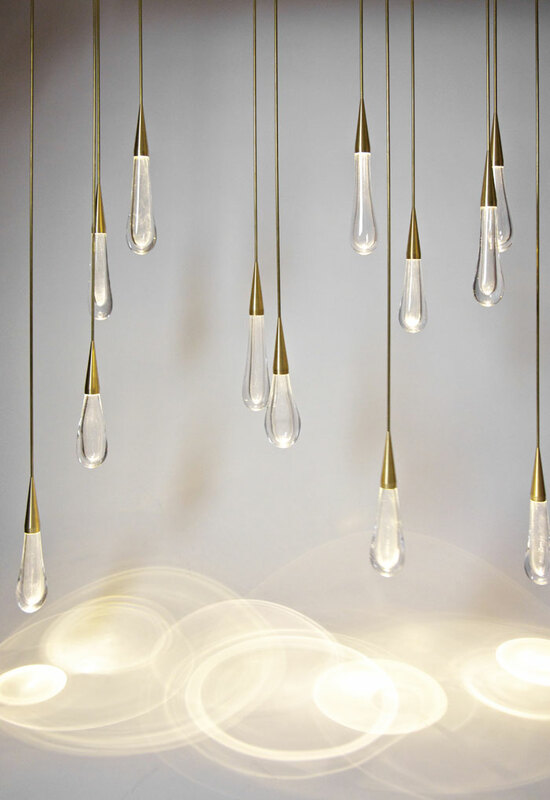 Teardrop: ‘We wanted the interiors of the restaurant in Kuwait to look like it was raining so we sprinkled our raindrops going down the long lines of tables and had these light puddles overlapping each other at different heights’, says Huang of the practice’s bespoke Teardrop lighting collection. ‘I grew up as a first-generation American in a middle-class family. My parents always taught me to work hard and really pushed us in education and in being independent,’ says Huang. ‘My mother also ran her own business and was very motivational.’ It was watching her parents work that inspired Huang to set up on her own business and ‘strive’ to do her best. Kate Spade: DH Liberty delivered a huge store facade light installation at Kate Spade’s London HQ and showcase shop in Regent’s Street. ‘We took its emblematic circle pattern and reinterpreted it as physical 3D forms and abstracted them, the outside spanning over the two stories’, says Huang. ‘From the moment I started I was overwhelmed with the response and that people actually wanted to work with me – so I am a true believer that hard work does pay off,’ she says. 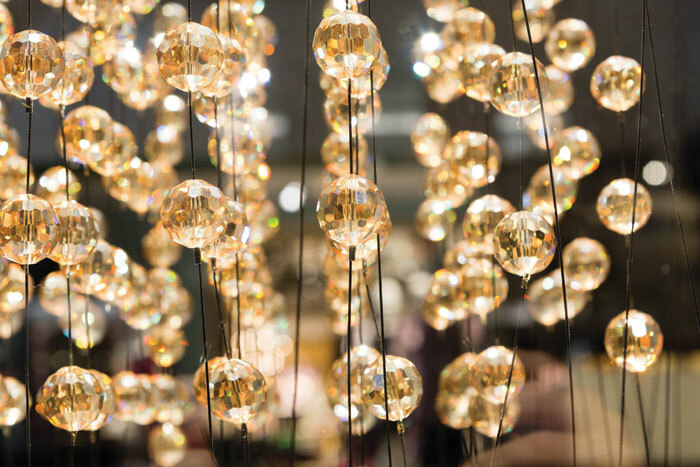 DH Liberty launched its first product in 2013 called The Pour, Teardrop Light, which gained recognition from exposure on various blogs and websites. This year the practice, currently in Clerkenwell, will expand into a larger studio with a workshop to further develop its lighting product range. Additionally, it is launching a furniture range that focuses on innovation in office furniture, such as flexible desk designs, as well as looking to take on more civic structure projects like museums and theatres. 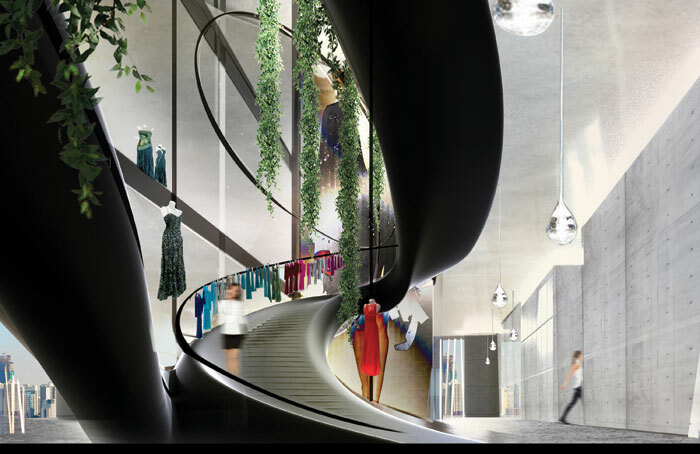 Fashion House Headquarters for the duo group – Luxury French goods LVMH and Chinese tech conglomerate trendy International: The new-build tower spans more than 93,000 sq m where DH Liberty will be showcasing its creative spatial interiors, light sculptures and installations and triple-height sculptural staircases.